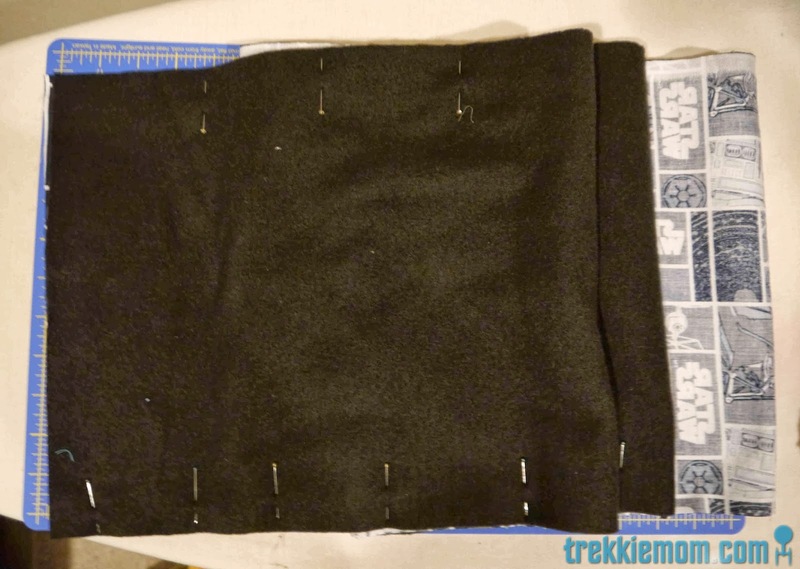 Like those 2 scarves, I started by cutting 2 pieces of fabric each being 12in. x 2yds. 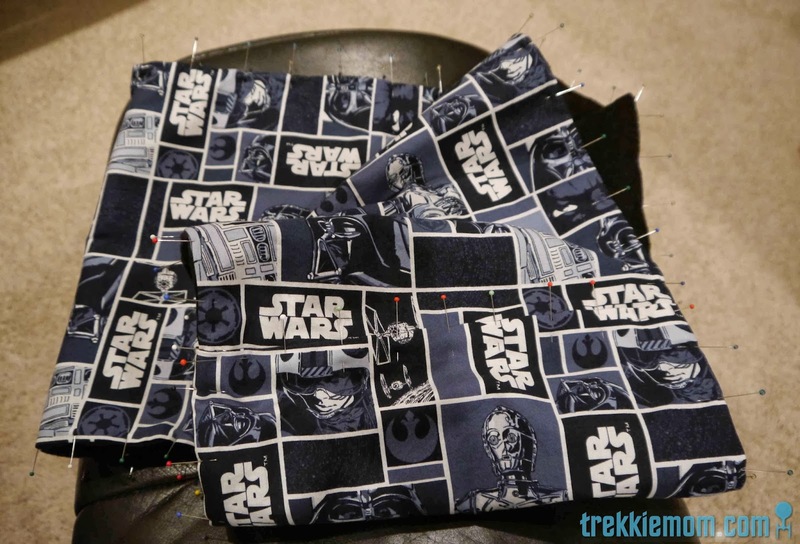 Placing the right sides together so that the wrong sides are facing out, I pinned the pieces together. 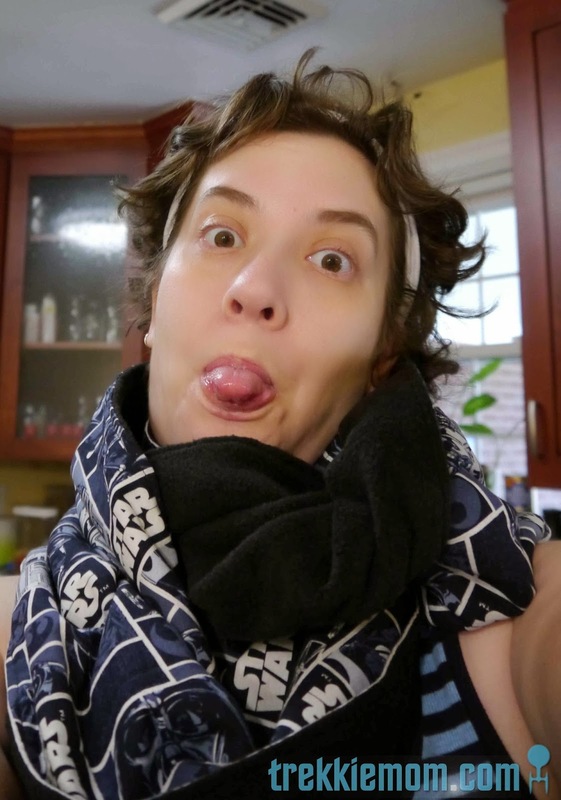 Since I had trouble folding under the end of the fabric that was getting tucked to create the infinity scarf, I pre-ironed so that my tucked seams would hopefully be flatter, since they would be sewn down. 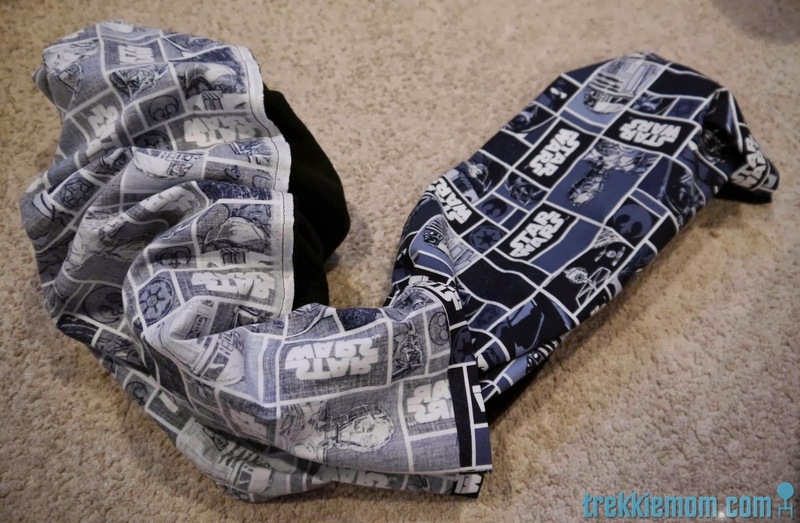 Then stitch along the both sides of the scarf and turned inside out. 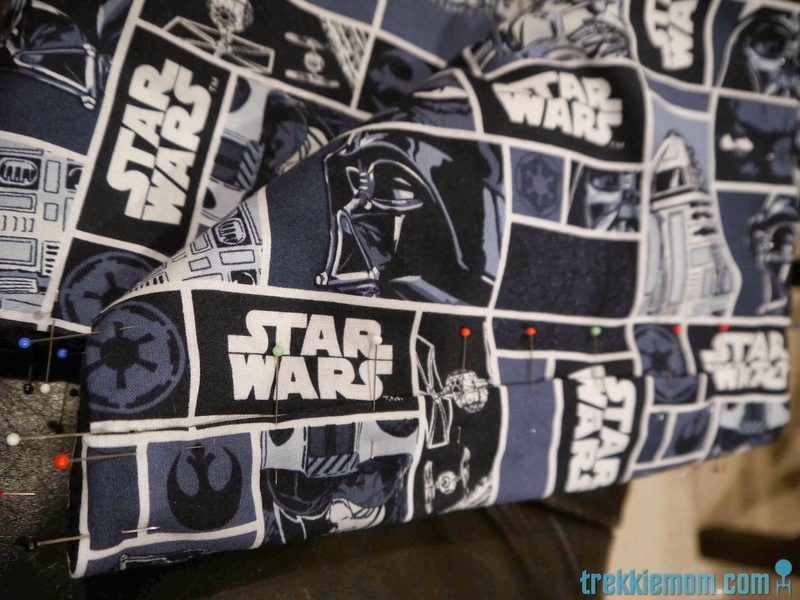 Because the Star Wars fabric (100% cotton) had been previously ironed and was paired with fleece, I just used my fingers to press the sides down and pin it in order to get it ready for the final top stitch. I also joined the to ends together and pinned them in place. 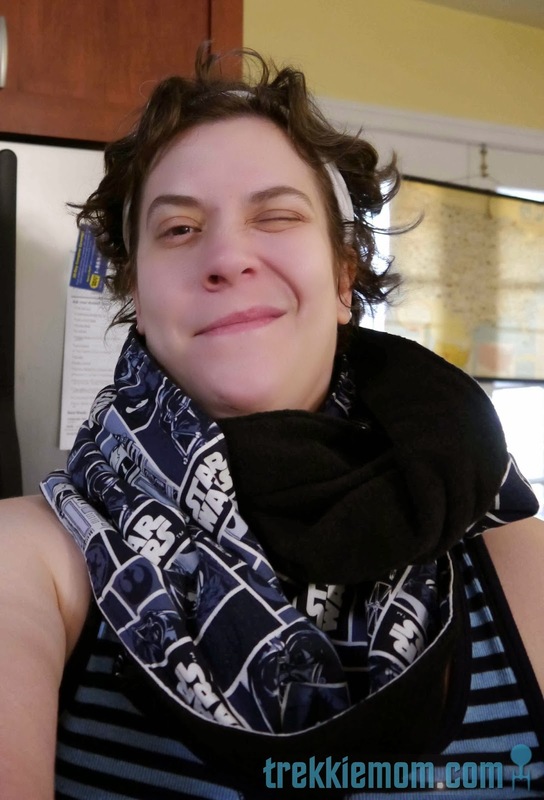 I started at the tucked seam of the infinity scarf and topstitched all the way around. 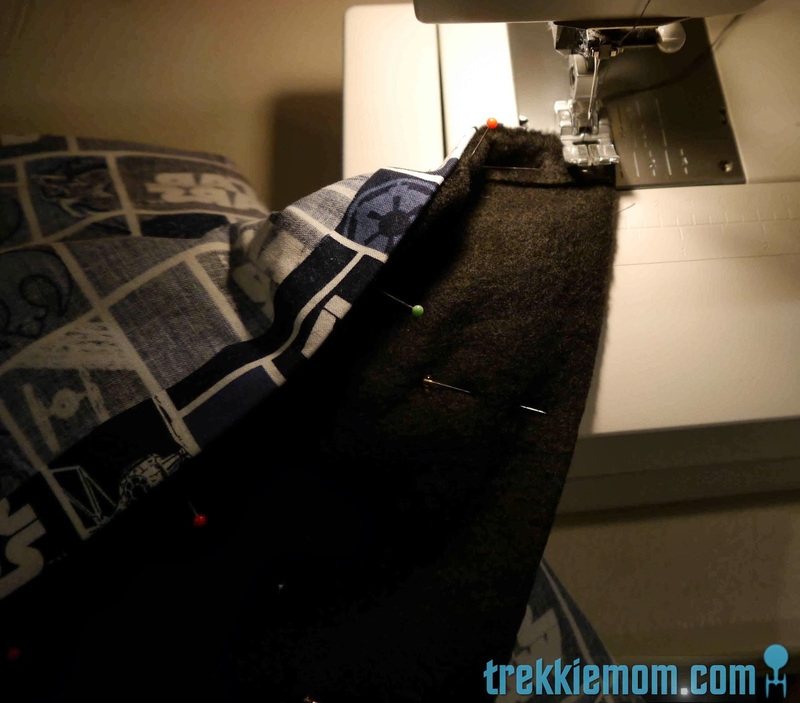 When I got back to my starting point I lifted the sewing foot so I could sew down the tucked seam, using it as a bridge to sew continuously to the other side so that I could topstitch that side as well. It was such a beautiful piece of art that I have decided I to make one for myself. It is soooo warm and cozy. Oh, yeah. 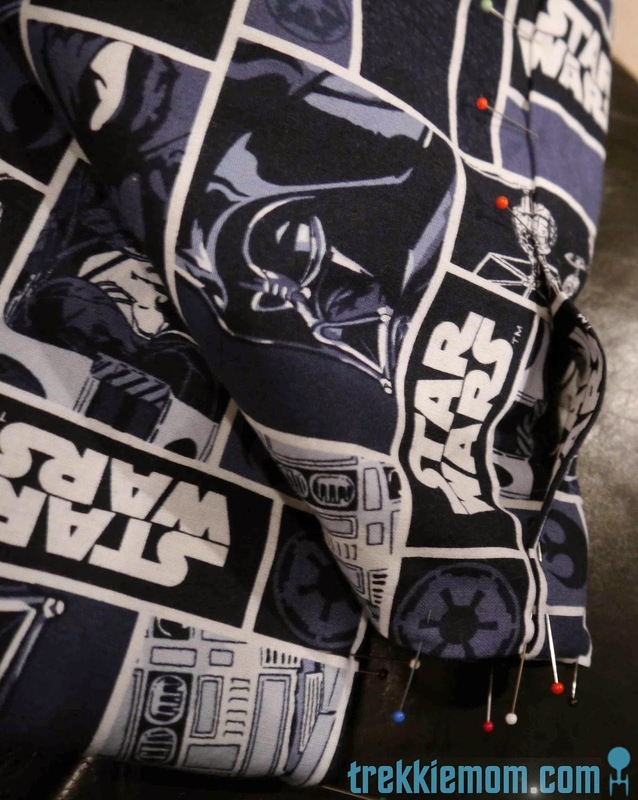 Here's to a Star Wars decorated neck this winter!